Sorry this slipped through the cracks on Army Day. Spinney's nails it perfectly (even if I still vote Almaza to be the outright winner). 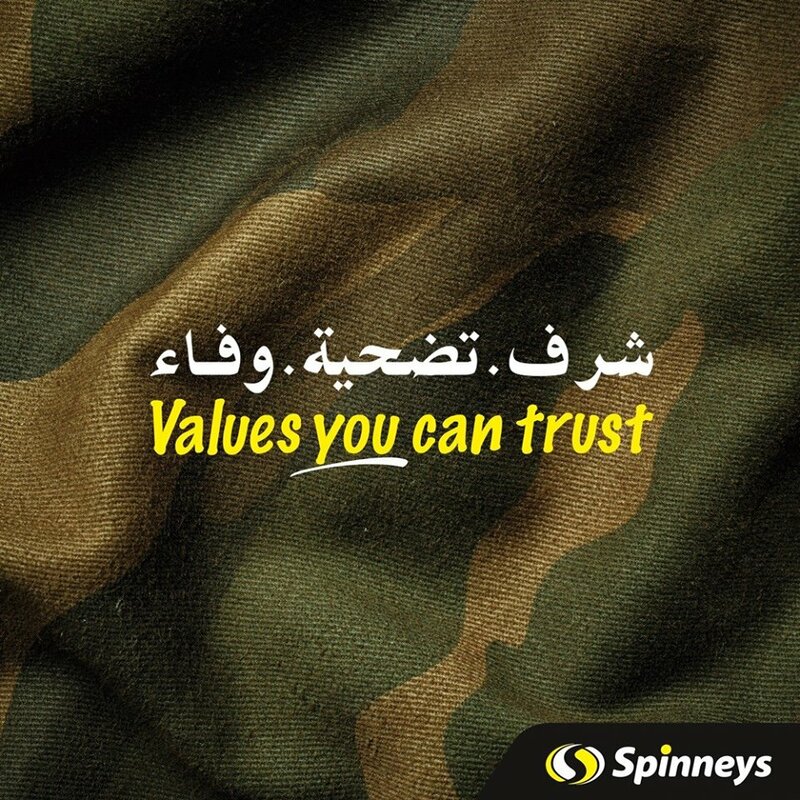 The Spinney's selling line is "value you can trust" so they added the three words that define the army "honesty, sacrifice, loyalty" and signed "values you can trust". Neat trick!